Blending science with technical wizardry and a dash of fun. For the past decade and a half, Bérénice Mettler has dedicated her work to modeling and analyzing the behavior of complex dynamic systems. In 2001, she obtained her PhD from Carnegie Mellon, where she conducted the first detailed analysis, modeling and control design of miniature helicopters. From 2001 to 2005, Mettler was a postdoc and then researcher at MIT, where she was instrumental in the first fully automatic acrobatic flight. She was also responsible for transitioning and validating autonomous rotorcraft guidance algorithm to a full-scale rotorcraft. In 2006, Mettler joined the U of MN faculty. There, she started the Interactive Guidance and Control Lab (IGCL) focusing on investigating human spatial guidance and control performance, particularly the system-wide organization of human functionalities, such as perceptual mechanisms, high-level planning, and learning and memory structure. Her approach combines traditional engineering methods, such as system-identification modeling, dynamic systems and control, with numerical optimization and machine learning. Over the past 15 years, Mettler has raised more than $2 million in research funding as principal investigator from various agencies, including, National Science Foundation, Office of Naval Research, NASA, Army Flightdynamic Directorate, and Jet Propulsion Lab. 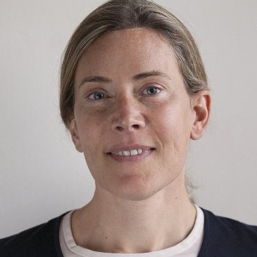 Bérénice has published close to 100 refereed articles and her work has been recognized through several best paper awards. In January 2017, she was honored by President Obama and the White House Office of Science and Technology with the Presidential Award for Early Career in Science and Engineering (PECASE). Mettler obtained tenure in 2013. In 2016, she left her full-time faculty job in order to focus on building augmentation technologies for human movement skill training and rehabilitation. She is the Founder and CEO of iCueMotion, a private R&D lab. The general goal of her work and research is to understand how to design human-machine and human augmentation systems that conform to principles underlying human skills and behavior. Andrew received his PhD in Aerospace Engineering and Mechanics from University of Minnesota and his MS in Mechanical Engineering from Drexel University in Philadelphia. Prior to grad school, he worked at Boeing Rotorcraft to develop control augmentation software, focusing on helping pilots fly safely in low-visibility conditions. Since then, his research has focused on observing human perception and control strategies to understand the structure humans learn and use to efficiently interact with their environment. Andrew’s hobbies include rock climbing, biking, and playing the saxophone. Bin received his PhD in Aerospace Engineering and Mechanics from University of Minnesota and his MS and BS from Harbin Institute of Technology in China. His research focuses are system dynamics and control, machine learning, human and human-assisted control, and human skill assessment. His hobbies include badminton, basketball, and traveling. 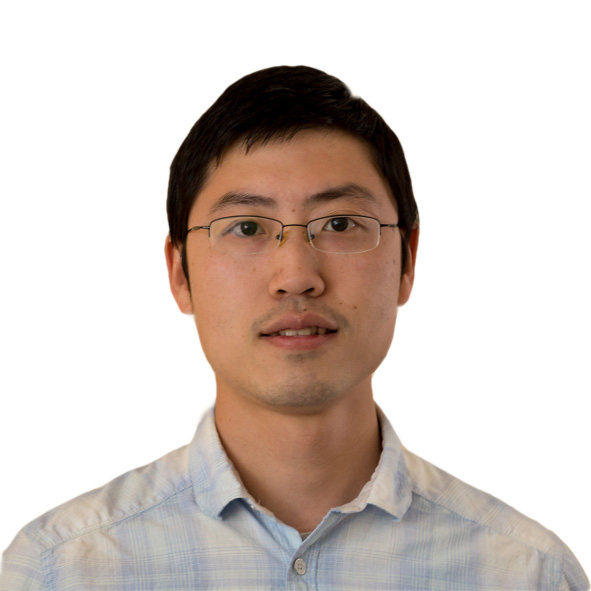 Chris has worked on a number of embedded systems projects with various Silicon Valley startups, and has been involved in the many phases of embedded systems design, from concept to manufacturing. He is well-versed in the design of hardware and firmware/software of resource-constrained connected devices, with experience in developing Bluetooth, WiFi and 3G devices and the cloud backend for such devices. Chris holds a BSc in computer aided engineering from South Bank University and an MS in mechanical engineering from Stanford University. Hailing from Mumbai, India, Vivek spent most of his reality nurturing an increasing curiosity towards all things virtual. Currently pursuing a graduate degree in Robotics at the GRASP Laboratory in the University of Pennsylvania, his interests range from tinkering with nuts and bolts to applying Machine Learning and Deep Learning to solve problems in Computer Vision (human pose estimation, 3D reconstruction of deformable and articulated objects, visual servoing, SLAM and visual art). When he is not building (or breaking!) robots, he loves to headbang to metal music, cook Indian food, and explore the nearest biking and hiking trails on quick weekend getaways. Despite being broke after falling prey to the grooviest gadgets out there, he often can't help but invest heavily in collecting stuff like a Polaroid camera, band merchandise and vintage LP records. Arthur is a software engineer who previously worked at VMware, Inkling and Dropbox. He graduated from EPITA in Paris, France. Arthur is now a Lead Software Engineer at Strava. Bijan is a serial entrepreneur with deep experience in startup formation, venture financing, product launches, and exits. His venture projects include biotech spinouts from the Stanford Genome Technology Center and exits to Yahoo and LinkedIn. Bijan's career focus involves launching new consumer technology products and platforms that have grown out of technology and algorithm research. 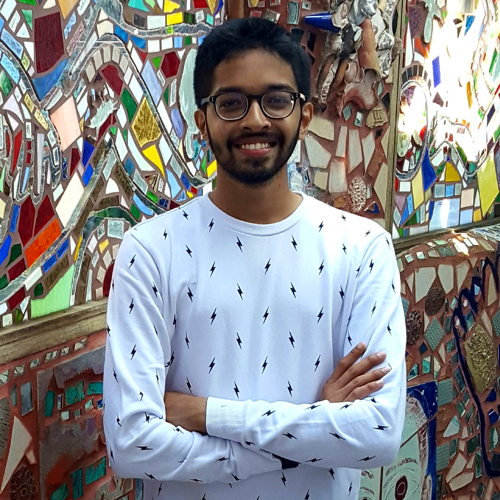 Bijan holds a BA in International Relations with a CS Minor from Georgetown University where he was captain of the debate team and advanced to the elimination rounds of the National Debate Tournament twice. Emily graduated with distinction from the University of Virginia’s McIntire School of Commerce with a BS in Commerce and a BA is Fine Arts. As the team’s X-Factor, Emily’s roles include visual design, front-end coding, and illustration. Emily’s hobbies include painting, world-travel, and spotting typefaces in the wild. Gilbert received his PhD in Mechanical and Aerospace Engineering from UC Davis, where his research focused on optimal control, multibody dynamics, and scientific computing. While at UC Davis, he mentored Biomedical Engineering students for Senior Capstone Design projects. Gilbert completed his BSME at the University of Washington, where he spent all his time building race cars for the school’s Formula SAE team. Gilbert is now a Senior Software Engineer at Twitch.